Writing in historical contexts entirely removed from the gay marriage debate, making the case that “the first purpose of matrimony, by the laws of nature and society, is procreation” (that’s a California Supreme Court ruling in 1859), describing the institution of marriage as one “founded in nature, but modified by civil society: the one directing man to continue and multiply his species, the other prescribing the manner in which that natural impulse must be confined and regulated” (that’s William Blackstone), and acknowledging that “it is through children alone that sexual relations become important to society, and worthy to be taken cognizance of by a legal institution” (that’s the well-known reactionary Bertrand Russell). That brings about my second QUESTION. Why would you like your generation to end at you? If you are the only child of your parent and married but hold the view of not wanting to give birth, I would be interested to know your personal reasons or views. Your exposition of your views would assist me to understand things proper from your perspective. We live in a knowledge society and I am always happy to learn from other’s point of view without sounding judgmental. It makes the couples feel what other couples feel. But these individuals are the exceptional ones. When couples have children, they are more assertive to societal growth than non-child bearing couples. They feel what other couples with children go through across the globe. Their responsibility will not only be to their children but to seek the general good of society at large. 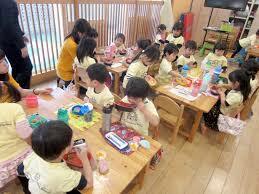 They are more careful to make decision that will affect the well being of children. The frequent gun violence in certain part of the US in recent times, caused students to demonstrate against their law makers. Some of them hold placards that show that their legislators are failing their generation. It is clear that some of the legislators are not having children of their own and may not feel deeply the agony and pains families go through if they lost their children to gun violence. The question I have been asking myself quietly is: Is the older generation of America failing the younger generation in terms of arms control? Can’t the American society have legislation to control easy access to gun? What is your view? Share it with me. What will come of our beautiful society if our great grandfathers and great grandmothers adopt this lifestyle of convenience and denied Mother Nature her children? You and I of course would not be in existence today. Are you aware that some animals are classified as extinct because they can’t reproduce their young ones to replace them? These animals are kept in special zoos and research centers for research purpose only. What would you be remembered for after you have left this world and your wealth and money are gone? Of course whatever you left behind would soon pass away in thin air because you are not available to manage them. However, if you have children, they will continue to reproduce years after years when you are gone to join the invisible world. Share what you think with this view. Loneliness kills and kills slowly than slow poison. You would not be young forever. Remember we are all growing every day and will be unable to do the things we do easily at our youthful age. The old aged homes are getting over populated because of the decisions some couples took not to have children but to enjoy life with their pets. I love pets, and my pet is a white cat I named after my grandfather. My pet is called Pascard but the children called it Paski. It seems it prefers the paski to Pascard. benefit from your rich experience. Don’t just die with your rich experience without transferring your knowledge to your children and grandchildren. When you make your experiences available, you have contributed to making the world a better place than you came to meet it.